During the course of the game, players develop their farms and deliver goods to the village as they vie to earn the title of La Granjafor their country estate. Timing is critical! La Granjais a fascinating game that requires careful planning. Successful players must learn to cope with the vagaries of the dice and cards. 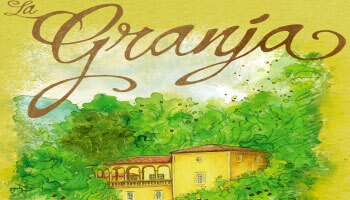 The center of La Granja's game board depicts Esporles' market place. It consists of hexagonal market spaces, where each space has a number (value) between 2 and 6. Market spaces featuring an "X" cannot be entered in a 2- or 3-player game. 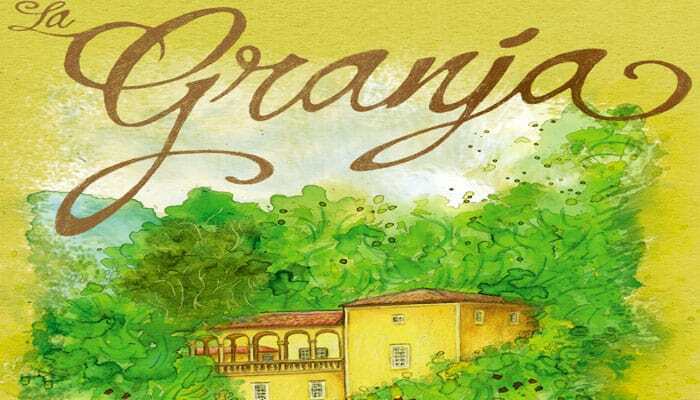 La Granja may be played solitaire, especially to learn key mechanics. All rules are in effect with the following exceptions. The components of one player plus the player markers of a second color are required (to be used for the "neutral player").